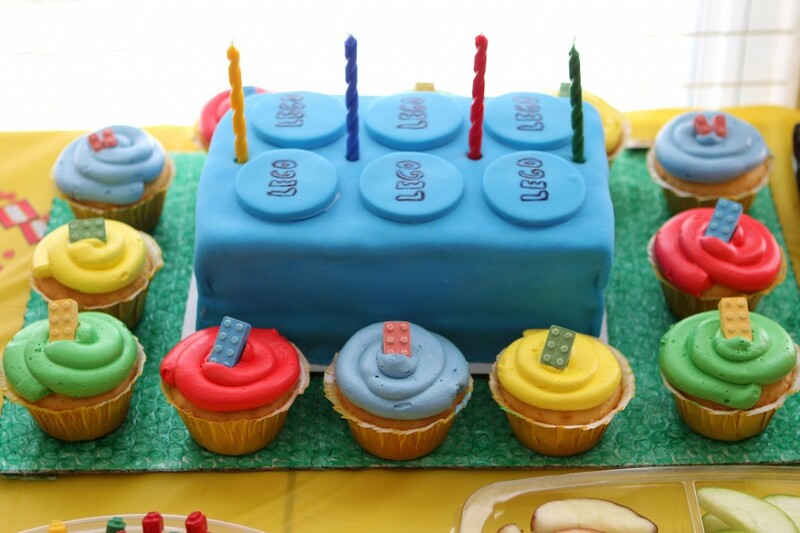 Throwing a Best LEGO Birthday Party for your child? Looking for ideas about what to serve for lunch? 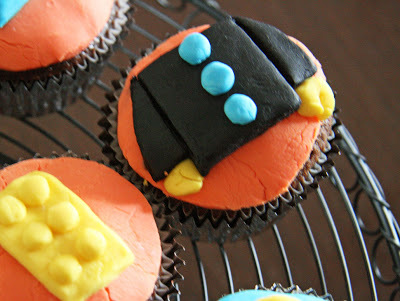 Playparty.net has a few suggestions for LEGO party lunch ideas. 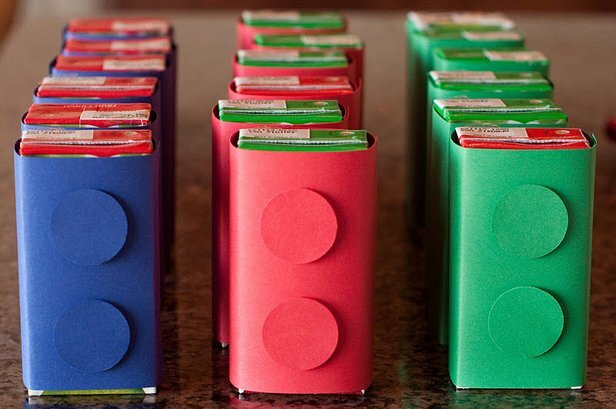 Cover juice boxes so they look like LEGO bricks. First set the straws aside. Then cut card stock into a strip long enough to wrap around the box. Tape ends closed. Cut out matching circles. Use glue or glue dots to attach circles to the front of the box. Make it easy for guests to help themselves. 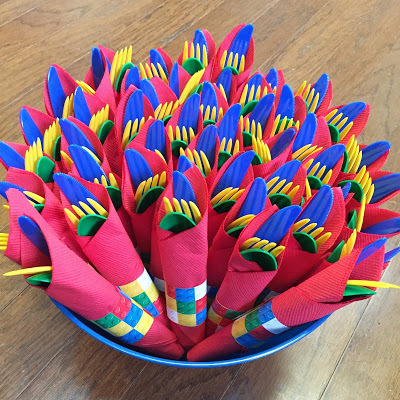 Wrap utensils in a napkin and use a band of LEGO wrapping paper to hold everything together. 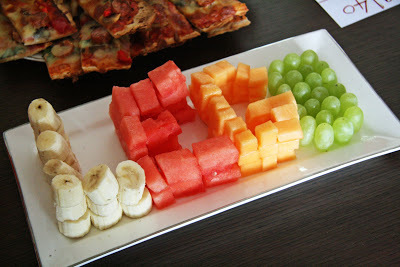 What kid doesn’t like fruit? Especially when it’s displayed this way? 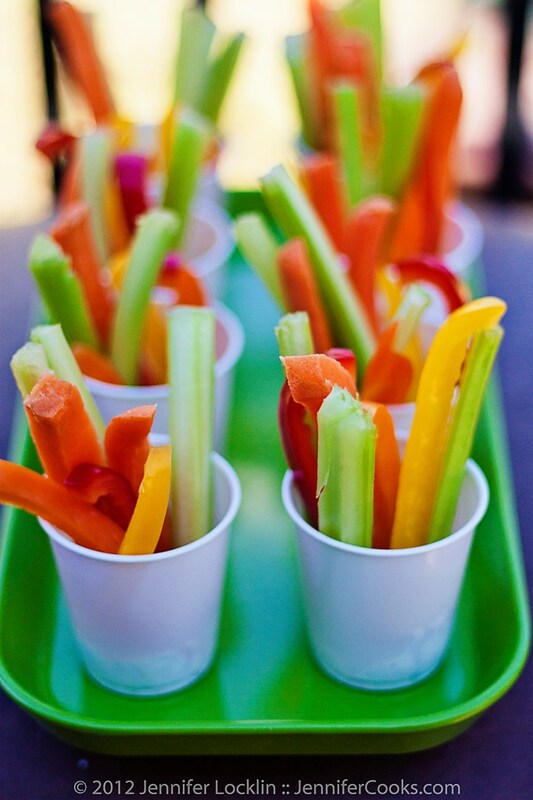 Offer veggies and dip in convenient, healthful individual servings. Put dollops of a kid-friendly dip — like hummus, ranch dressing, bean dip, pesto or salsa — in a cup. Then place finger-food sized vegetables inside the cup. Popular alternatives include julienned carrots, celery and bell peppers; cherry or grape tomatoes; blanched snow peas, snap beans or broccoli; a crisp leaf of romaine lettuce or radicchio. 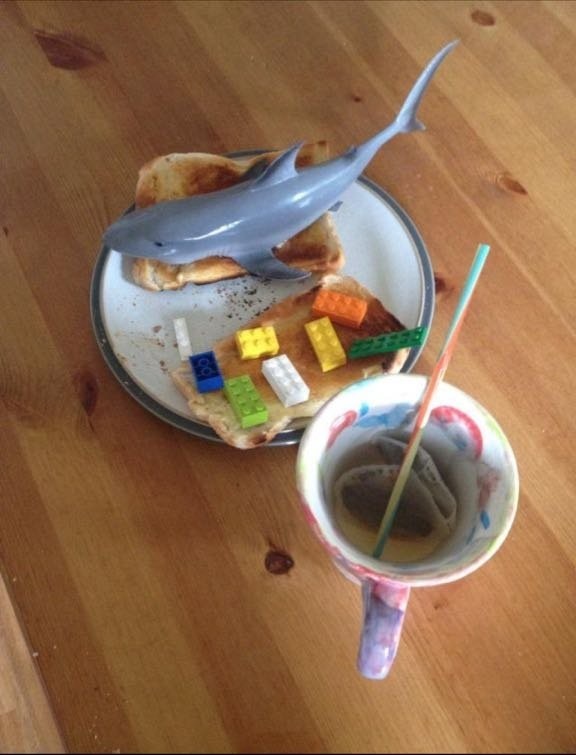 Up the LEGO-awesomeness. 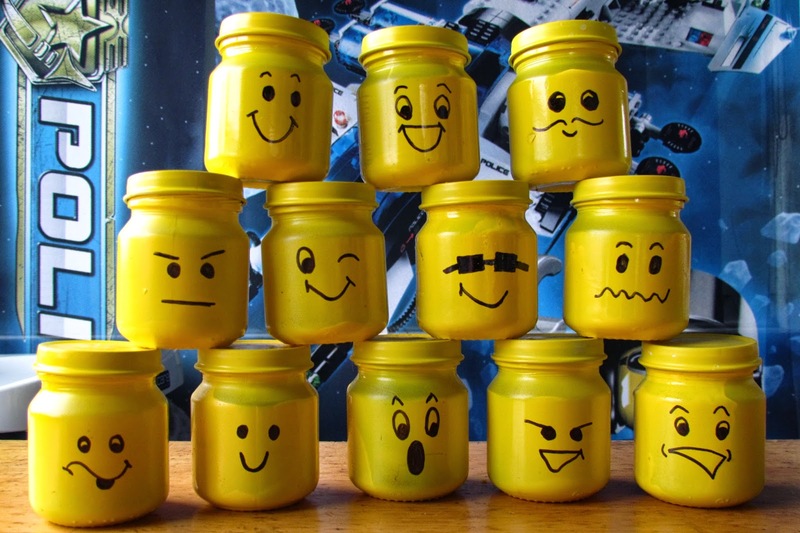 Use yellow cups and draw a mini-fig face on each with a black marker. Try your hand with a variety of faces — for example, smiling, winking or wearing sunglasses. The expressions below may inspire you. 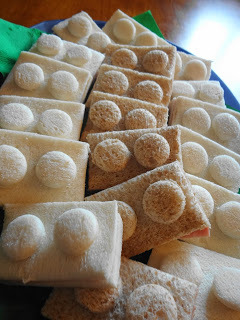 Make LEGO brick sandwiches with your child’s favorite filling — peanut butter and jelly, cheese, bologna, ham or turkey. Cut off the crusts and cut the sandwiches in half. Use a small cookie cutter, apple corer or water bottle cap to cut circles out from a slice of bread. Then press the circles onto the sandwiches with a bit of peanut butter or cream cheese. 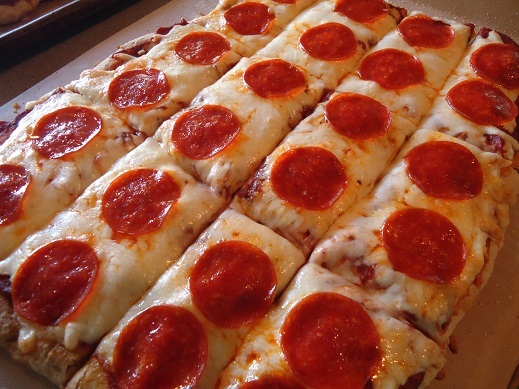 Pepperoni pizza can also look like LEGO bricks. And the best part of all? You get to have the leftovers for breakfast the next day! 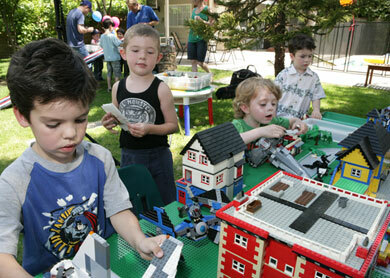 Let playparty.net help you to make your child’s birthday celebration extra-special. Contact us to book your Playparty now!